Noun: a vacation spent in one’s home country rather than abroad, or one spent at home and involving day trips to local attractions. 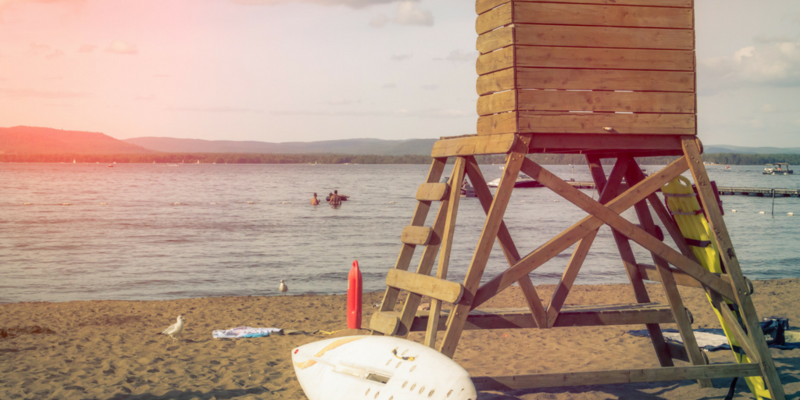 Last-minute summer fun might be closer than you think using these cheap staycation ideas. Heading to a farmer’s market isn’t just a way to pick up fresh local produce, it’s also a great way to get in touch with your community. Local musical acts, as well as small business owners, can often be seen at farmer’s markets showcasing their talents and products which include anything from organic handmade beauty products to small batch craft beer. Should you get hungry while you’re there, you can try your fair share of freshly prepared artisanal dishes. Festivals come in all shapes, sizes, and prices! While music festivals might be the most common type of festivals, there are also food, theatre, and cultural events happening in big cities and small towns over the course of the summer. Even if baseball isn’t your favorite sport, it’s one of the many live sports you can head out to watch in the summer. With tickets as low as $10+ for a weekday game, or $25+ for a weekend game (depending on your city), it can be a fun way to support your local team with family or friends. Looking for adventure? There is no shortage of national parks to explore across America. Whether it’s the Everglades in Florida, Catskills in New York, or Yosemite and the Redwoods in California, it is easy to find a National Park near you. Plan a day trip if the drive is under a few hours. If you’re having trouble picking one park, plan a road trip! Most parks will have designated campsites that often come with amenities like showers. Both the east and west coasts of America are home to many beautiful beaches and boardwalks. If you’re lucky enough to live within 100 miles of one of the oceans, plan a day trip. If you’re a bit further, plan an overnight stay to enjoy the beach. Should the Atlantic or Pacific be too far, plan a trip to a reservoir like the Lake of the Ozarks or see the Great Lakes in cities like Milwaukee which offer up great lake-front shops and trails to explore. If you live in a rural or small town, a trip to the nearest metropolis could provide easy, low-cost fun for the whole family. Head to a museum for a history lesson, an art gallery for some culture, or the aquarium to get familiar with some creatures you may never have seen before. Often, cities will offer discounted tourist or city passes which give you prepaid vouchers to the city’s top attractions. Should you have a little extra room in your budget, get a hotel room or Airbnb to squeeze in a nap and you will be refreshed enough to head back out to see the city at night. When it comes down to it, sticking to your budget and planning your staycation just right can lead to a cheap and memorable vacation that doesn’t break the bank.